There’s a degree of gumption involved any time a builder decides to squeeze a new model into a market that’s already bulging. The truth is, the odds are heavily stacked against such a builder. 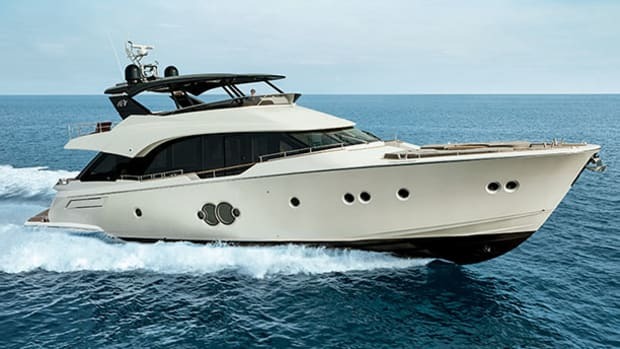 Triple those odds for an outfit like Schaefer Yachts. 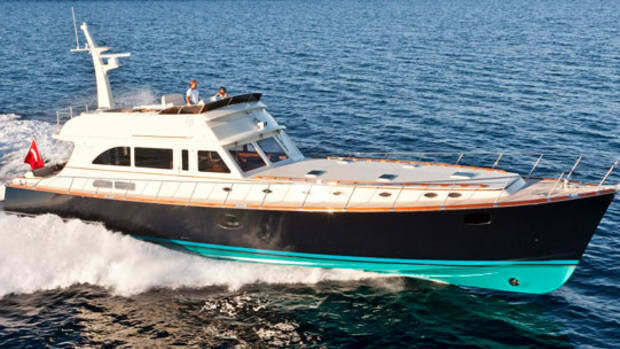 The 25-year-old Brazilian boatbuilder is well known abroad, but is hardly a household name in North America. 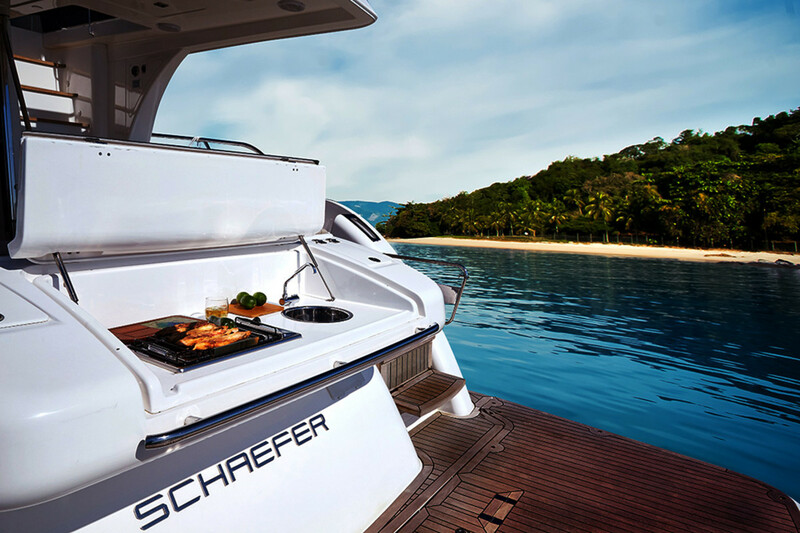 To win here you must bring something new, and that’s exactly what Schaefer appears to have done with its first U.S. offering, a flybridge motoryacht. 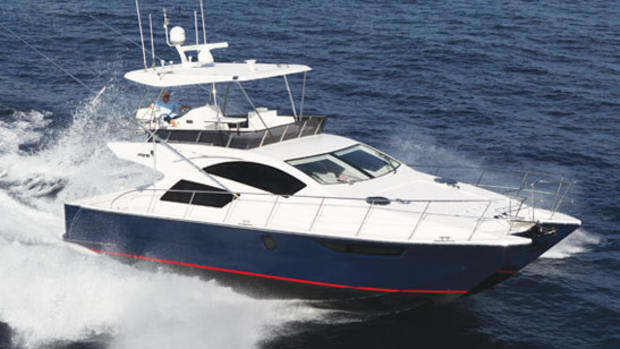 The boat offers nice surprises, the first of which is a surplus of wide-open spaces for social gatherings. 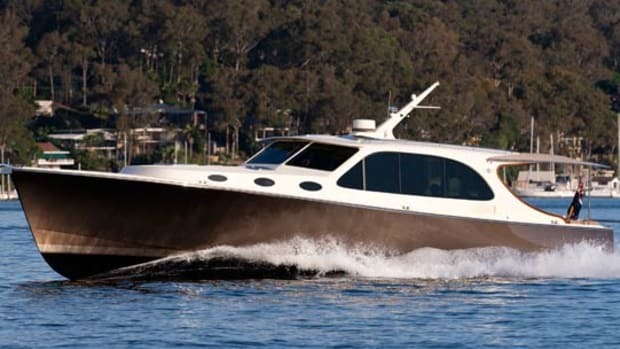 I’ll stop short of saying she’s a party boat, as that would be an injustice to her sophistication and elegance. 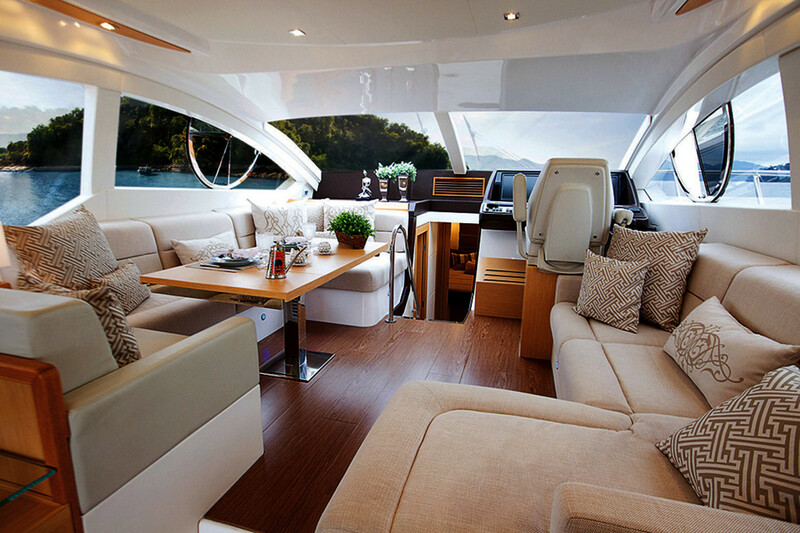 Her interior offers all the spoils of modern luxury, with fine woods and high-quality leathers. Hand-laid surface finishes are an artful blend of Old World craftsmanship and modern technology. 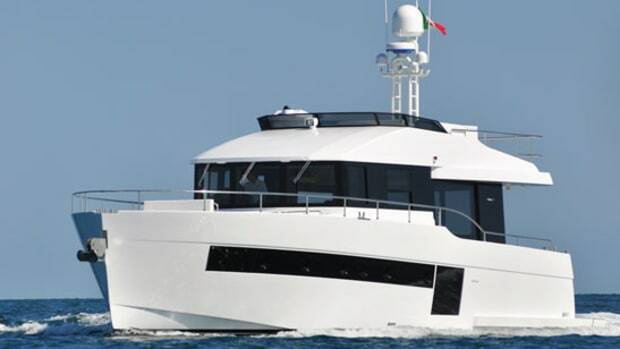 The designers seem to have used every inch of her 16-foot 3-inch beam to create usable onboard space. 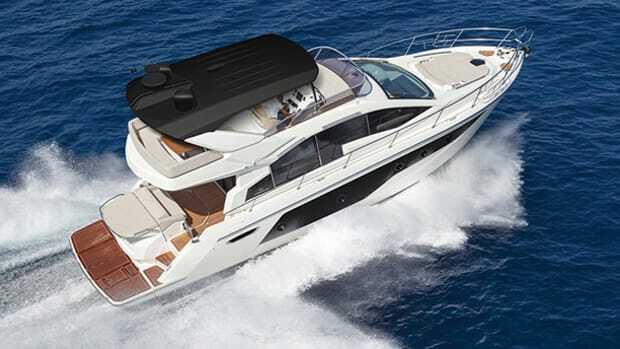 A standout of the 560 is the alfresco main-deck entertainment area that fully integrates aft through the saloon, with a gourmet grilling station on the stern. 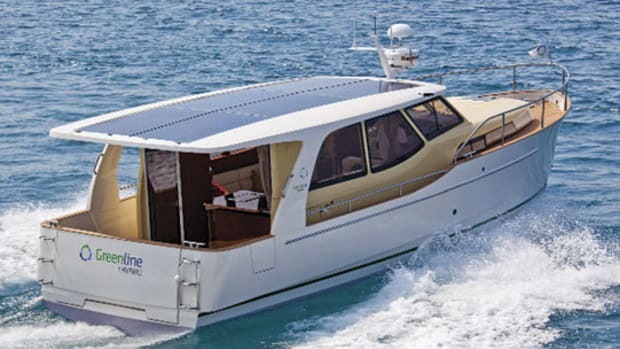 Accommodations include three staterooms with plenty of stowage. 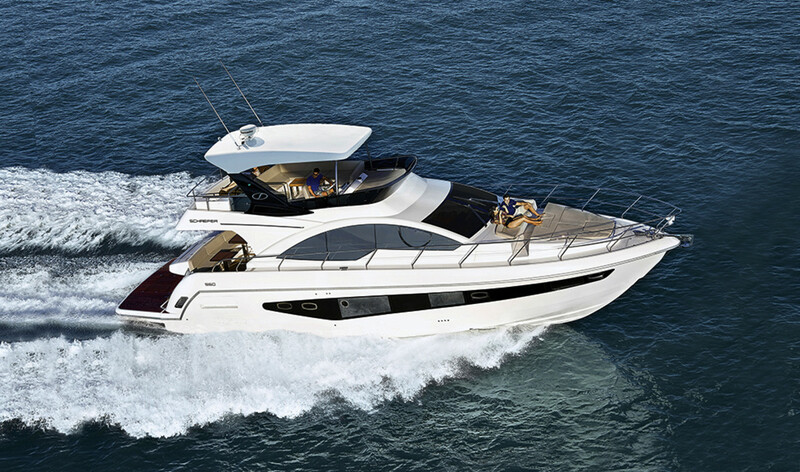 The full-beam en suite master amidships is well-appointed, with a king-size berth, a separate sitting area, and generous windows. 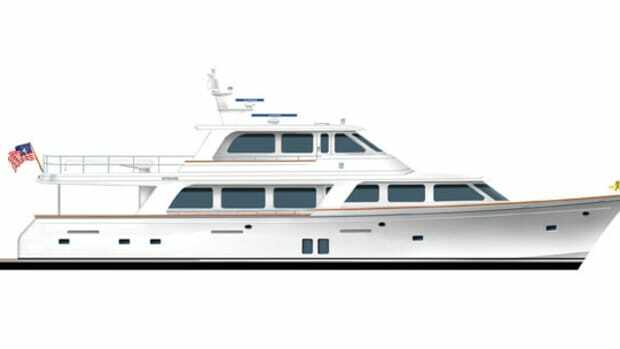 A second head serves the starboard guest stateroom and the forward VIP cabin. Both of the heads have separate, enclosed showers. 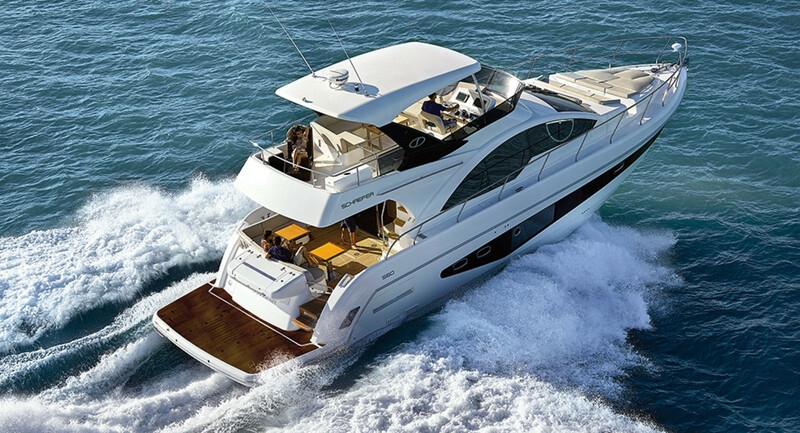 The engine-room layout is straightforward with easy access. 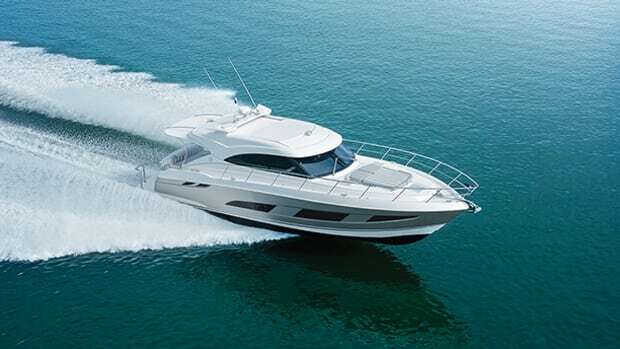 A pair of 625-horsepower Volvo Penta IPS800s should give the 560 a zippy, yet economical, 26-knot cruise burning around 50 gallons per hour at 2200 rpm. The builder reports a shade over 31 knots at the top end. There’s a lot to like about this luxurious Latina, not the least of which is that she’s well-equipped for the modern American cruising set.